The National Maternity Hospital, Holles Street, Dublin, Ireland’s leading Catholic-identified maternity hospital, pioneered symphysiotomy from 1944. In 1944 the National Maternity Hospital (NMH) in Dublin pioneered the use of the symphysiotomy operation (see sidebar) as the procedure of choice in certain cases where the woman’s pelvis was deemed too small to permit a normal birth (termed ‘disproportion’). The NMH was Ireland’s leading Catholic-identified maternity hospital. NMH doctors were motivated by the perceived need to avoid the practice, common among non-Catholic doctors in Britain and elsewhere, of recommending sterilisation to women after a third Caesarean section (CS). The resurrection of symphysiotomy was controversial; one British obstetrician, Chassar Moir, speaking at a Royal Academy of Medicine in Ireland meeting in 1951, called it ‘the murder of infants’. Despite evidence of a high infant mortality rate and other problems, the NMH experiment lasted until 1966. Dublin’s Coombe Hospital also adopted the procedure from 1950 onwards. The Rotunda did not adopt NMH practice, although the Draft report on symphysiotomy notes that, although ‘rarely used,’ symphysiotomy was employed there occasionally, mainly as a post-CS procedure. Symphysiotomy was thought to permanently enlarge the pelvis, and therefore, when carried out in a first pregnancy, it might remove the necessity for a woman with ‘disproportion’ to face repeated CS in future pregnancies. This was a particular problem for Catholic doctors. Contraception was practised in most developed countries, making repeat problem pregnancies less common, and non-Catholic doctors advised sterilisation after three CS. Irish Catholic doctors were unable or unwilling to do this. They were aware of criticism by colleagues who believed that Catholic religious strictures disadvantaged patients. In the same period, research had been undertaken in the NMH on pregnant women with heart disease, intending to prove that it was not medically necessary to offer them information on contraception, sterilisation or abortion. One author of that research noted, in a telling phrase, that it ‘proves that good morals and sound medical advice are compatible’.In Ireland at that time so-called ‘artificial’ contraception was illegal, and sterilisation was unobtainable. Catholic-approved ‘natural’ contraception, based on knowledge of the fertility cycle, was legal, but neither the NMH nor the Coombe gave such information to patients. The hospitals were conservative even by Catholic standards, and increasingly out of kilter with their patients in this. The 1946 census showed a clear trend towards limitation of family size, particularly among the urban middle-class. The 1960s saw the rapid adoption of artificial contraception. Dr Alex Spain, master of the NMH from 1942 to 1948, pioneered symphysiotomy as the operation of choice for mild to moderate disproportion, in replacement of CS. His stated motivation was not based on concerns about the medical undesirability of repeated CS. In a defence of CS, particularly the relatively new ‘lower-segment’ variety, he argued that no arbitrary limits should be placed on its performance, noting that he had himself performed a seventh such operation on a woman without ill effects. His concern was that such a method of delivery would not easily be accepted by the medical profession or the public, and that this would lead to the use of contraception or voluntary sterilisation.Symphysiotomy’s other key promoter, Dr Arthur Barry, also cited religious-based arguments, stating that CS caused doctors to practice the ‘unethical’ procedure of sterilisation and was frequently responsible for ‘encouraging the laity in the improper prevention of pregnancy or in seeking its termination’. He offered more criticism of the ill effects of repeat CS than had Spain. His major written contribution to the debate was not based on this, however. He confined his arguments to the general premise that the operation was safe, easier than CS in selected cases, and that it was better, in principle, to take the option that permitted future vaginal deliveries. For either man to have condemned repeated performances of CS on individual patients would have been problematic, since unless and until they established symphysiotomy as an acceptable alternative they were committed to that course of action, as were all Catholic doctors who felt unable, in conscience, to advise contraception or sterilisation. That said, one cannot ignore the defence of CS made by Spain, an experienced obstetrician, particularly since his assessment proved accurate. There is no compelling reason to doubt his stated motives for reviving symphysiotomy. 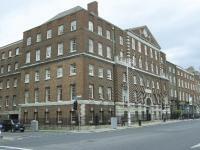 Dublin maternity hospital reports were discussed at meetings of the Royal Academy of Medicine in Ireland (RAMI). The NMH and Coombe’s use of symphysiotomy was queried and criticised by a procession of visiting speakers. Rotunda doctors were also critical. British obstetricians Prof. T.N.A. Jeffcoate of the University of Liverpool and Prof. Chassar Moir of the University of Oxford made particularly noteworthy contributions. In 1950 Jeffcoate, brought in to discuss disproportion, pointed out that in many of the symphysiotomy cases the babies were already distressed by the time of the operation and that CS would have offered certain and immediate relief. He noted that one baby was lost and several others were born in a state of severe asphyxia. The NMH team argued for symphysiotomy’s presumed benefits for the woman’s later childbearing career. They cited Catholic teachings on contraception. NMH experience showed that some symphysiotomy patients had normal deliveries in later pregnancies—the desired result. Jeffcoate noted that this was also true of some who had previously had CS. He said that the NMH’s statistical data were too few to permit reliable conclusions, and called for more comparative analysis of later births to those who had symphysiotomies or CS for disproportion. No such comparative analysis was ever carried out. In 1951 Chassar Moir emphatically opposed the NMH use of symphysiotomy, arguing that women recovered better and faster from CS. He, too, focused on the perceived higher infant mortality rate, asking: ‘Is it then your policy to sacrifice the firstborn baby, and to use its dead or dying body as nothing more than a battering ram to stretch its mother’s pelvis?’ He took three 1950 cases as examples of the NMH’s folly. Barry had carried out one of these as an experiment to test the limits of the procedure. It involved gross disproportion rather than the mild to moderate cases for which Spain had advocated symphysiotomy. The operation proved fatal to the infant, which, after 24 hours of post-symphysiotomy labour, was eventually extracted by CS. This would conventionally have been dealt with by earlier performance of CS, thus minimising damage to the foetal skull. Moir quoted another such case involving foetal death after prolonged labour in a case of ‘gross disproportion’ and a third that had resulted in death for the foetus and bladder injury to the mother. Barry admitted to errors in carrying out the operation in an unsuitable case and in delaying performance of the operation. He argued that another came within the accepted indications and that the infant had died from infection not caused by the mode of delivery. He misidentified the third case. He did not address Moir’s essential question regarding comparative rates of foetal death or injury in symphysiotomy and in CS performed for disproportion. Moir attributed NMH policy on symphysiotomy entirely to its Catholic ethos, and he queried the morality of such foetal sacrifice. He made his own position clear: he saw a use for symphysiotomy only as ‘a means of getting out of a difficulty the possibility of which had been overlooked either from neglect or misjudgment. In all other cases I should prefer CS’. The surviving portico of the original ‘Coombe Lying-in Hospital’ (it moved to the nearby Cork Street site in 1967)—202 symphysiotomies were performed there between 1950 and 1965. No systematic and long-term comparative data were collected on the relative outcomes of symphysiotomy versus CS for disproportion. Advocates of symphysiotomy, who agreed on its higher infant mortality rate, presumably believed that such comparison would have been unfavourable to symphysiotomy in this respect. Their focus on the benefits of the operation for hypothetical later pregnancies required acceptance of a sacrifice of infants in the pregnancy during which the operation was performed. Despite a lack of systematic long-term monitoring, Barry asserted that the operation could be performed without the problems traditionally associated with it. Feeney, of the Coombe, stated that the operation was safe and had no later developing problems ‘as far as we know’. The gaps in his knowledge are perhaps indicated by his 1956 remark that ‘It would be interesting to find out the effect of the operation upon the subsequent activities of athletic women’. 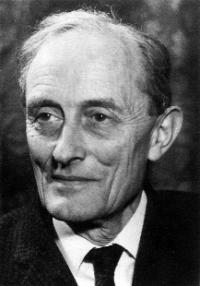 In 1955 he described his first 100 cases and some limited follow-up, but noted that this was essentially preliminary.In February 1952 Barry published an encouraging account of 42 symphysiotomies, with reported follow-up of eighteen second or third labours subsequent to the primary operation. He reported that seventeen patients experienced no locomotive or urinary trouble. One suffered from stress incontinence, attributed to a previous forceps delivery. Barry did not indicate any selective criteria used to pick the cases reviewed, stating only that he had carried out ‘42 cases to date’. In October 1951, four months before the article’s publication, he had claimed experience of 45 symphysiotomies. By the end of 1951 he had overseen 53.The total of cases to the end of 1951 listed three neonatal deaths and five stillbirths. Barry’s selection listed three neonatal deaths but only one stillbirth. Two stillbirths occurred in 1951. These may have happened after his (unstated) cut-off date. Nevertheless, a discrepancy remains. Barry omitted two symphysiotomy-related stillbirths from 1950. Both were cases criticised by Moir, involving gross disproportion. Barry’s unacknowledged selection process gave a misleadingly positive account. Alarmingly, his article has been cited by a modern doctor arguing for greater use of symphysiotomy. Between 1944 and 1966 the NMH performed 319 symphysiotomies for disproportion. Between 1950 and 1965 the Coombe performed 202. Kieran O’Driscoll became master of the NMH in 1963; instances of symphysiotomy at the NMH declined sharply thereafter, and ceased in 1966. The Coombe followed a similar pattern. O’Driscoll, who had previously voiced reservations about symphysiotomy, declared himself against it, as practised in the NMH. Research led him to conclude that disproportion was a rare complication, frequently over-diagnosed. He did not advocate symphysiotomy even for those rare cases. 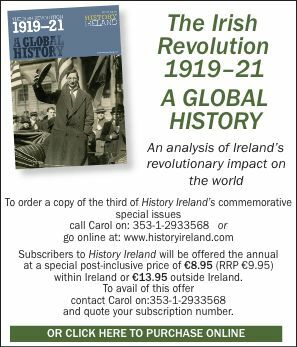 Reflecting changing Irish sexual mores, O’Driscoll introduced family planning talks and instruction in ‘natural’ methods of contraception, despite strong opposition from Drs Barry and de Valera. While symphysiotomy as an operation of choice for disproportion was abandoned in the NMH and Coombe, no final, disinterested assessment of it was ever produced. The NMH and the Coombe were teaching hospitals, their students dispersed elsewhere once trained. This, and the inconclusive manner in which symphysiotomy was dropped in Dublin, may partly explain its continued use in some Irish hospitals until as late as 1982. Those upon whom it was performed report seriously detrimental effects upon their health and lives. Jacqueline Morrissey completed her Ph.D in the Women’s Education, Research and Resource Centre (WERRC), University College Dublin. M. O’Connor, Bodily harm: symphysiotomy and pubiotomy in Ireland, 1944–92 (Dublin, 2011). U. Ranke-Heinnemann, Eunuchs for the kingdom of Heaven: the Catholic Church and sexuality (London, 1990).S. Ryan-Sheridan, Women and the new reproductive technologies in Ireland (Cork, 1994).